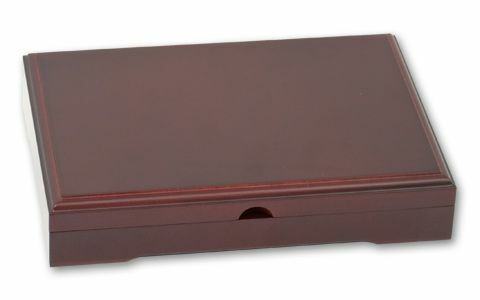 This luxurious slab box is handcrafted in sturdy mahogany-colored wood. 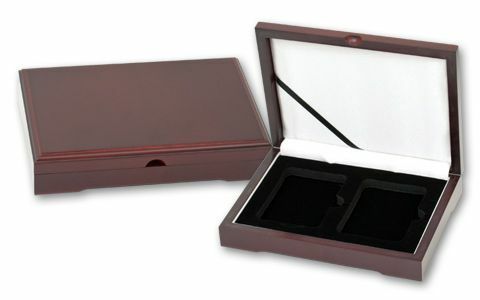 The hinged lid has a white-cushioned pad and a crosscut ribbon to hold certification documents. 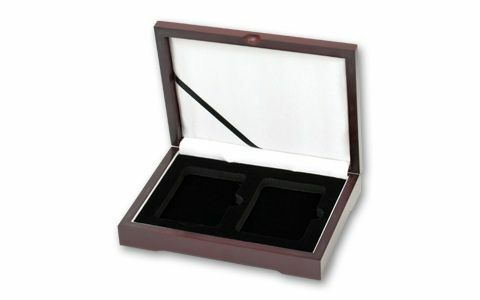 The sleek black foam cushion interior holds your slabs from NGC and PCGS tightly for protection. Perfect for your most treasured coins.